Celebrate Marvel's 80th anniversary by examining which current series have a lot in common with the classics! 2019 marks the 80th anniversary of Marvel! Iron Man, Thor, Wasp, Ant-Man, and Hulk get a lot of credit for ushering in the new age of Super Hero teams; however, they themselves could have been interpreted as an updated version of the All-Winners Squad from the 1940s. The team members were different, but their mandate was the same. The Avengers are unlikely to be going anywhere soon, but—for our money—their heirs have already emerged... The CHAMPIONS are the true inheritors of that heroic legacy. 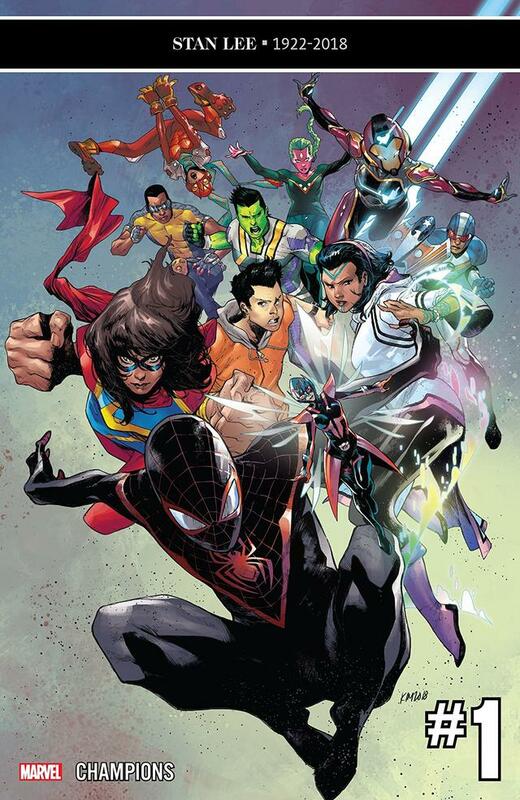 They arguably already have a stronger claim on the Avengers’ name than the Young Avengers ever had; Ms. Marvel (Kamala Khan), Spider-Man (Miles Morales) and Nova (Sam Alexander) were already Avengers when they quit the team in disgust after CIVIL WAR II. They idolized their adult counterparts until they realized that their heroes were all too human and imperfect. More importantly, they understood that the Avengers weren’t fighting for the issues that were important to them. Like the original Avengers, the founding members of the Champions were all headline characters in their own books. They even recruited their own Hulk, Amadeus Cho, as well as Viv Vision and the time-displaced teen Cyclops—that’s a powerhouse lineup of the next generation of Marvel heroes. 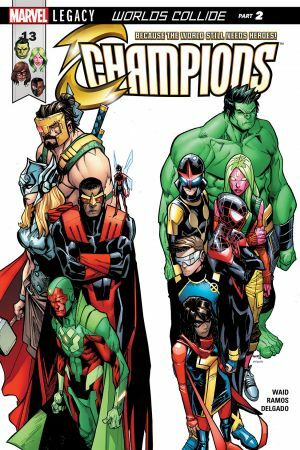 The Champions’ roster is even more impressive with the addition of the Wasp (Nadia van Dyne), Ironheart, Patriot, Falcon (Joaquin Torres), and Red Locust. Many of those characters are literally carrying the legacy of the heroes who shared their names. It’s worth noting that the original Avengers didn’t have a place for younger heroes. Rick Jones and the Teen Brigade weren’t even really sidekicks, they just happened to assist the Avengers in their debut adventure. Only Jones was able to work his way up to sidekick status as the new Bucky, but he was never truly one of Earth's Mightiest Heroes. Over the intervening decades, the Avengers opened their ranks to their younger partners, but to this day they’re still essentially the old guard, and they’re more interested in protecting the world than changing it. The Champions have a different mandate; they want to protect the world by changing it. Ms. Marvel was the first member of the team to realize that the Avengers’ style of protection no longer suited her. From her perspective, the Avengers didn’t make it a priority to help people when there wasn’t a battle to fight. Kamala’s persona is not entirely unlike the Wasp’s from the ‘80s era Avengers. Both women lead by example, although Kamala doesn’t seem to really desire the official mantle of leadership. Yet she is still the glue that holds the Champions together. Her idealism is infectious, and it’s helped the Champions gain a global following. If there’s a problem with the Champions’ mandate, it’s that the issues that they want to solve can’t simply be punched away. There’s only so much a Super Hero can do to fight homelessness, hatred, xenophobia, and inequality when there isn’t a crime being committed. Targeting human traffickers and corrupt corporations like Roxxon is a little easier, but it doesn’t solve the core issues that the team wants to address. On some level, the Champions seem to understand this. Their real power is their ability to inspire. They can only serve as examples, because real change can only come when the people of the world make it happen. Like the Avengers, the Champions’ strength does seem to invite challenges from their enemies. The Champions already have a rival team called the Freelancers. Unlike the Avengers’ foes, the Masters of Evil, the Freelancers appear to be more amoral than truly malevolent. The Freelancers aren’t villains, but their skills are for sale to the highest bidder. They’ve worked for both Hydra and Roxxon, and they have no qualms about fighting the Champions to ensure their payday. The Champions’ goals may ultimately prove to be unattainable. But the true measure of a hero is their willingness to fight on regardless of the odds stacked against them. The Avengers have always lived up to that measure, and so will the Champions. Unlike the All-Winners Squad, the Avengers are still around to see the Champions in action. The two teams may not necessarily see things the same way, but they have joined forces against common enemies. There’s still a lot the Champions can learn from their older counterparts, and the Avengers have a thing or two they should pick up as well. Either way, between the two teams, the Marvel Universe is in good hands. 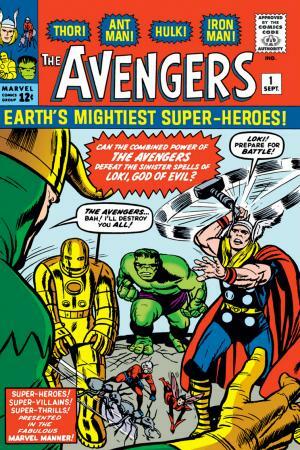 Roll back the years to revisit 1963's AVENGERS on Marvel Unlimited now! 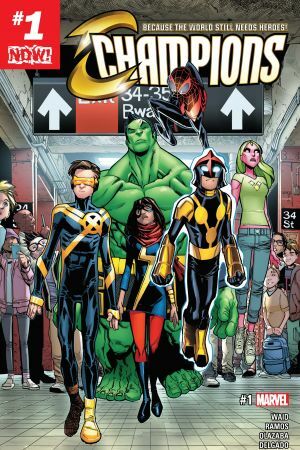 Then visit your local comic shop to read the latest issue of CHAMPIONS right now!